The Revd David Cleugh is the Rector of the Three Rivers Group. 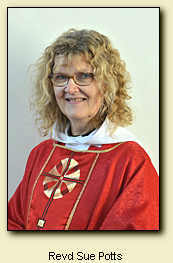 Sue is Associate Priest in the Three Rivers Group of Parishes . Sue is available to all in the village for a listening ear, for Baptisms, Weddings and Funerals. Mr Mark Liversidge is Authorised Lay Minister (Music) at Isleham. Ms Mel Takac, Pioneer Partner.